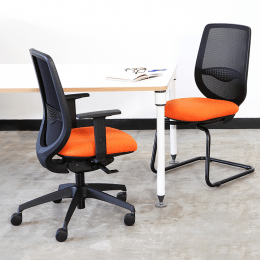 The Ovair OV32ADJ will offer a stylish update to your office seating arrangements. Designed to suit even the pickiest sitter, this is a task chair that has been designed with long-term comfort in mind. The precisely tensioned back mesh will keep you cool and dry all day long, while the inbuilt lumbar support and Operator Synchro mechanism will ensure each member of your team can set up their chair precisely to suit their preferences. 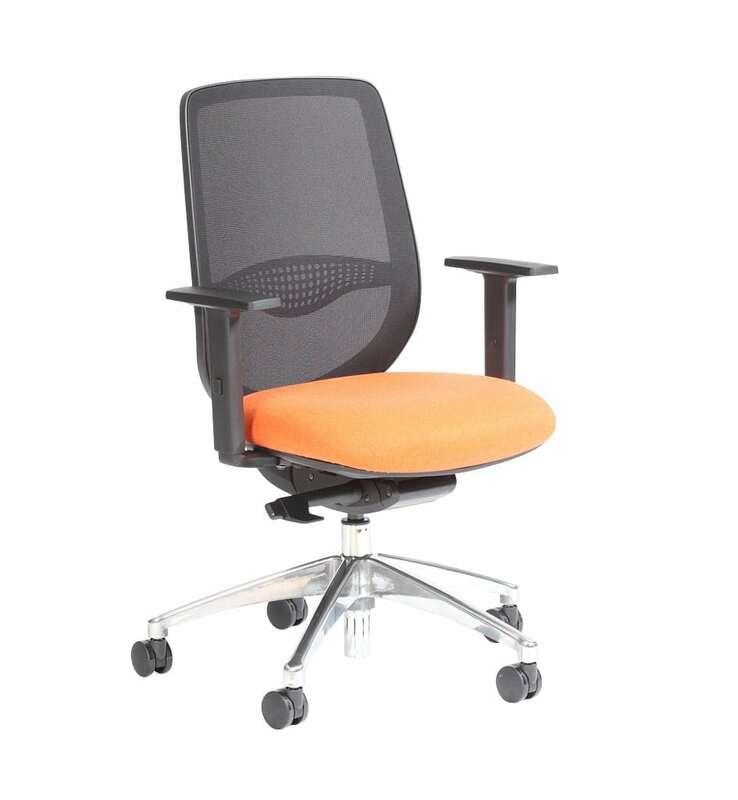 While the height adjustable arms of this model offer increased stability and comfort. 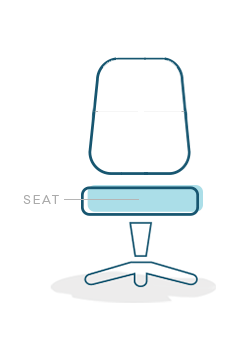 For further benefits to your wellbeing and spinal health, this task chair features a self-adjusting mechanism that can be left unlocked to facilitate free-floating use. This will allow your office chair to recline with your movements, reducing the stiffness that can be felt from sitting for long periods. 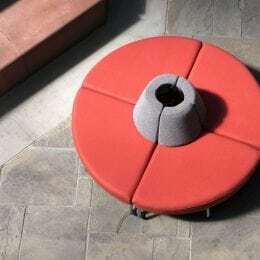 This type of finely balanced free-floating mechanism is widely acknowledged as best practice for long-term healthy sitting. 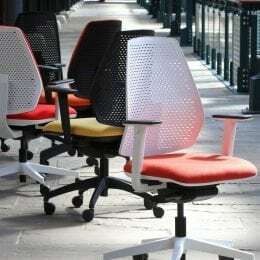 Choose a hard-wearing seating fabric that complements your existing colour scheme and your Ovair task chair will fit perfectly into your existing office environment. Speak to a member of our sales team<link to contact> to find out more. The Ovair range, including OV32ADJ, offers you plenty of customisable options. 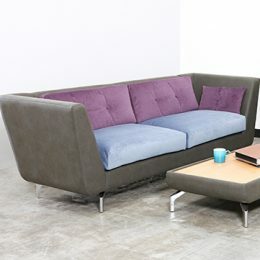 Choose to add a seat slider for even more adjustment possibilities or a polished aluminium base for an industrial look. This model is available without arms here: OV32.